Under the tenet of “Our Mission” in the Group vision, “Look Beyond” the AGC Group strives to be a company trusted by all of its stakeholders, a company that meets the expectations of the world business community to grow and develop responsibly and a company that significantly contributes to a healthier global society. To this end, the Group has established the AGC Group Charter of Corporate Behavior and acts in line with the following principles. 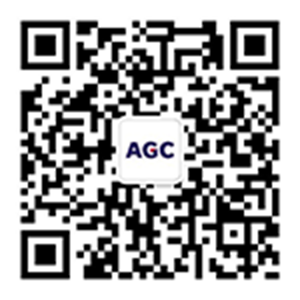 The AGC Group will develop and provide useful goods and services of superior quality, giving due consideration to safety and the environment, and will strive for customer satisfaction and loyalty. The AGC Group will understand and comply with applicable laws and regulations of the countries and regions in which it does business and will respect international norms of behavior. The AGC Group will promote fair trade and conduct its operations in accordance with the principle of fair competition and all applicable laws and regulations. The AGC Group will maintain sound relationships with government agencies and other responsible organizations. The Group will not support any person or group that threatens the order and security of society. The AGC Group will properly manage and safeguard its own proprietary information, intellectual property, and other assets and will respect the property rights and interests of others including customers and business partners. The AGC Group regards environmental conservation as an essential responsibility of global citizens and will proactively contribute to the development of a sustainable society. The AGC Group will pursue technological innovations and new product developments that reflect due consideration for the environment and will participate in activities to preserve the environment and safety and security at work. The AGC Group will maintain its workplaces with a proper regard to occupational health and safety for the people related to its business activities. The AGC Group will respect human rights and will operate its business with due regard for the cultures and customs of each country and region in the world. The AGC Group will respect people's diverse capabilities and personal dignity and will create fair and open environments at its workplaces without discrimination based on race, ethnicity, religion, nationality, gender, disability, or any other legally protected group. The AGC Group will not engage in forced labor or child labor and will not tolerate infringements of human rights. The AGC Group will strive to be a trusted corporate citizen, fulfilling its responsibilities to the communities in which it does business. The AGC Group will build productive and proper relationships with business partners and encourage them to adhere to business principles consistent with its own. The AGC Group will communicate responsibly with customers, local citizens, shareholders, employees, and other members of society by gathering their opinions and disclosing information in a fair and appropriate manner. The managements of all AGC Group companies, recognizing that it is their responsibility to realize the spirit of this Charter, will take the initiative to achieve an understanding of the Charter within all Group companies, and at the same time, will seek its business partners' cooperation. The managements will also promote the development and implementation of systems that the principles stipulated in this Charter can be duly incorporated into the Group's decision making and implementation. In the case of any behavior contrary to the principles of this Charter, we will work to identify the cause and prevent a recurrence, making it clear to those inside and outside Group companies that the situation is being addressed diligently. We will take appropriate corrective and disciplinary actions when necessary. The AGC Group wishes to pursue these principles as the foundation of our “7 Key Principles for People” to maximize our performance as a truly global corporation. AGC Group builds teams of diverse people who support our four Shared Values of “Look Beyond” and have the abilities to contribute to organizational competitiveness. AGC Group encourages employees to grow and provides them with opportunities for self-development. AGC Group encourages employees to achieve their goals so that they feel a sense of pride and satisfaction in their work. AGC Group provides a safe and healthy work environment. AGC Group emphasizes open communication in the workplace to create a better organizational climate. AGC Group evaluates and recognizes employees who contribute to the organization and rewards their contributions. The AGC Group will manage its Occupational Health and Safety (hereinafter “OH & S”) under the policy of “ No Production without Safety” and all managers will ensure that the OH & S policy should be clearly understood and permeated throughout the Group and that all of the employees should be actively involved in the promotion of OH & S activities. We will actively implement OH & S activities by addressing any possible issues on occupational accidents and illnesses to achieve continual improvement in our OH & S performance, based on the following guidelines. We will enhance the level of our Risk Assessments to promote effective use of our OHSMS. We will continue our conventional on-site safety activities without making them mere repetitive routine. Managers will treat their subordinates like a family member and ensure safety at workplaces. We will promote intrinsic safety of equipment, and look for continual improvement in the workplace environment. We will implement OH & S activities as a part of production line activities. The departments in charge of OH & S will provide necessary support for line management. We will comply with OH & S related laws and requirements. We will encourage proactive employee participation in all OH & S activities through open, honest and fair interactions and communication at workplaces. Employees represent one of the most important assets for the AGC Group, and health is one of the most important elements of the daily lives of employees. The AGC Group will actively implement measures to maintain and promote the physical and mental health of its employees, thereby supporting them in driving the growth of the Group by fully displaying their individual abilities, and in striving to lead meaningful lives. Employees themselves must be aware of the importance of their health, and they must maintain and promote their health through self-discipline, taking responsibility for their own health. The AGC Group plans to extend this Health Management Policy from AGC Inc. to Group companies in and outside of Japan in the future. At AGC Group we recognize that our businesses activities, by using a large amount of resources and energy, have an impact on the environment. In line with AGC Group vision “Look Beyond” , we have set the "environment" as one of our company shared values and we are committed to take actions accordingly. We are also committed to contribute to the creation of a sustainable society as an outstanding player in the global Materials Industry by efficiently utilizing limited resources and energy and by taking account into due consideration our impact on the natural environment, including climate change and biodiversity. Let’s all contribute to environmental activities, as a good global citizens. Improve the environmental performance continuously, in accordance with environmental management system. Comply with internal and external relevant environmental rules worldwide. Set goals and do our utmost towards improving environmental impact of our business by addressing responsible use of resources, climate change mitigation and adaptation, waste avoidance and recycling, as well as appropriate management of chemicals substances. Strive to offer to society our products, service and technologies taking into due consideration their environmental impacts. Communicate about our progress to our internal and external stakeholders. At AGC Group we will pursue our“Look Beyond” Vision with the strong belief that "actively engaging in security and disaster prevention activities is our fundamental obligation as a company developing business in the local community"
Comply with relevant internal and external rules concerning industrial safety & security rules worldwide. Develop and continuously improve management initiatives to prevent incidents associated with industrial safety & security. Strive to communicate with internal and external stakeholders proactively. AGC Group values the idea of the Group Vision“Look Beyond”and the “AGC Group Charter of Corporate Behavior”and will regulate our performances on purchasing which are explicitly stated in the following “AGC Group Purchasing Policy”. Our procurement policy is to consistently search for innovative technologies, product and services with a “Fair” and “Equitable” manner globally. AGC Group will comply with the applicable laws and regulations of each country where our procurement takes place, and give due regard to safety and environment. AGC Group will establish a long-term, mutual prosperous partnership, based on our shared vision, to produce a better product with our business partners. To this end, we shall endeavor to keep close communication with our business partners to build and enhance our trusting relationship. AGC Group will properly manage and protect the proprietary information, intellectual property and assets of our business partners while procuring goods and services. AGC Group will apply key criteria to evaluate and select business partners, as follows. Sound management, Steady supply and Flexibility to match with the fluctuating demand. Appropriate Quality, Pricing, Delivery date punctuality and technical service level. The AGC Group strives to be a company trusted by all its stakeholders, a company that meets the expectations of the world business community to grow and develop responsibility, and a company that significantly contributes to a healthier global society. Essentially, CSR activities are performed on voluntary basis initiated by each individual company. However, for the AGC group, to pursue the CSR policy, it is imperative for all the supply-chain linked companies to pursue their individual CSR activities as well. Accordingly, to enable us to jointly work with our business partners, we kindly ask our partners to understand our policy and to cooperate. Concentrate to supply products and services with good quality, considering Safety & Environment and Compliance to Laws & Regulations of each country. Secure and proper managing of Proprietary information and Intellectual property. Not to be engaged to forced labor or child labor and never tolerate infringements of human rights. Make efforts to environment preservation and ensuring safety and security. Maintain adequate level of occupational health and safety. The AGC Group will continue to create the expected value by pursuing “Innovation & Operational Excellence” as one of the Shared Values in the Group Vision “Look Beyond” . Having “Incorporating the concept of CS into daily work processes” as the fundamental of our businesses, we will act to gain trust from our stakeholders including customers, based on the following guidelines. We will provide products and services that conform to the requirements of laws, regulations, and customers. We will ensure and improve the quality of our products and services including appropriate consideration to safety and environment. We all will participate in the continual improvement of effectiveness and efficiency of our quality management, and each of us will individually strive to enhance the value of our work. In order to ensure that the above points are materialized, each will establish individual policy and target, and implement the PDCA cycle. In its AGC Group Charter of Corporate Behavior, the AGC Group declares it will “strive to be a trusted corporate citizen, fulfilling its responsibilities to the communities in which it does business.” To achieve this, we conduct social contribution activities in three priority areas. We, as a creator of future value, support the development of children, who will carry the future, helping them to live out their dreams. We, as a member of the communities in which we operate, contribute to their sustainable development. We, as a global enterprise, contribute to the solution of global environmental problems.